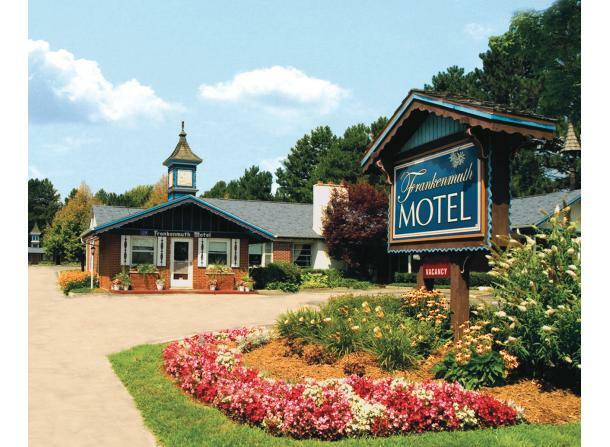 Enjoy the peace & relaxation of the Frankenmuth Motel located conveniently one block east of Main Street. Couples and families alike enjoy our quiet location for a weekend get-a-way or mid-week shopping excursion to Frankenmuth. No elevators needed with 53 ground floor guestrooms. You can experience the Michigan's Military & Space Heroes Museum to our South and the Zeilinger Wool Company to the North. 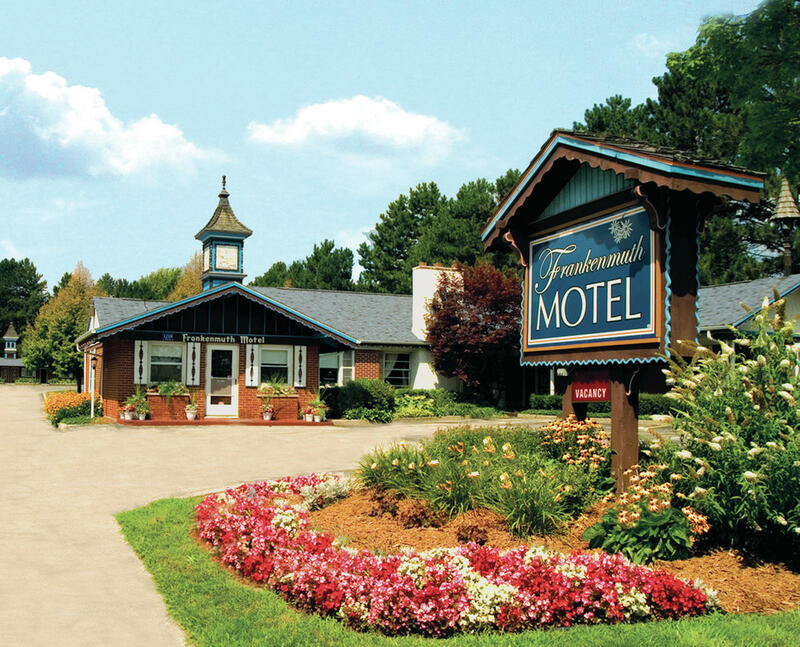 As a Bavarian Inn owned property, we promise a friendly staff and a comfortable room with great Frankenmuth rates. For your convenience, each room offers free wireless internet, 112 HD channels on LED televisions, mini refrigerators and free continental breakfast included.